Editing images in WordPress has become easier; now you have plugins that can do the job perfectly. No need to worry about the stretching or pixelating of images. In this article, we present you the best WordPress plugins for image editing and managing. Assuming you are not new to WordPress, I will list the best image editing plugins in WordPress I wanted to share what plugins I am using and used on this website. It’s more than five years when I first installed WordPress on this website, and till now I have used tons of plugins for images. But few plugins always stands out for me. Also, I will list some of those WordPress plugins for image editing that are helpful. 1. 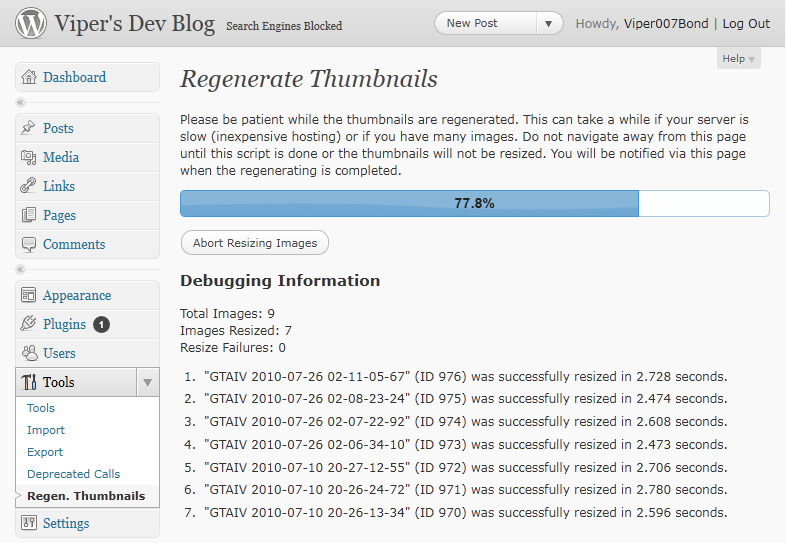 Regenerate Thumbnails : Its is of the most popular and effective thumbnail generation plugin that has really helped me in many worst situations. Like whenever I changed my theme and opted for something fresh and new, all the sizes of thumbnails had to be adjusted again. This plugins came to my rescue. It generally helps you to generate images which are of thumbnail size. Get more info here. 2. ImageMagick Sharpen Resized Images : As the name suggests, this plugins will sharen your resized images and you will be able to use it on a photography website that needs it badly. This plugins will let you keep original copy and the dimensions for native image, so you don’t have to worry about the initial concerns. It runs on Imagick PHP module and it needs to be installed on your website’s server, mostly shared hostings like bluehost, hostgator and dreamhost have it installed but sometimes you need to ask your server guy to make it happen. Here is a shot and idea of what actually this plugin can do for you. Use this plugins to make better use of your server side and hosting capabilities, you it to enhance the quality of image you have uploaded. And all this automatically. 3. Aviary Editor : Simple lightweight plugin integrates The Awesome Aviary editor In your the WordPress Media Library. Main Features include: 30 languages to select from. Ajaxed save process. Named Theme Images sizes. Saved file format (jpg,png,original). Very Very Easy to use. 4. POWr Photo Filter : This editor has some really promising features, it can get you Photoshop like filters in no time, and all for free. In just few secs you can convert your images using certain styles like – greyscale, sepia tone, darkness, contrast, brightness, and opacity plus many more. Get more details over here. 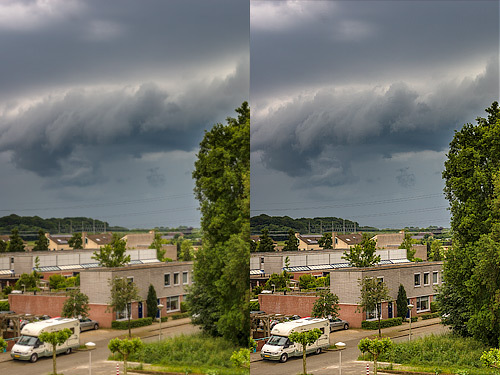 Another interesting thing about POWr Photo filter is animations, borders and resizing options that makes it a real power editor, but there’s one catch as well, the free version of this plugin will have a watermark on the image you edit or you can purchase it in $2.99 per website. 5. Photon : Photon is one of best image plugins, not because its made from the Automatic’s team but also it does has a free caching of images and using a CDN for your blog absolutely free. Apart from caching the images it also resizing them, so you never have to worry about using Regenerate plugin, it simply detects the dimensions and deliver image of that dimension by resizing it automatically. Truly a fantastic option as all the image caching and correction of image resizing is done on the fly. No need to get a separate plugin for these two things that are essential in a every way. The plugin is a part of Jetpack plugin. 6. sEditor – online image editor WP plugin : sEditor is WordPress plugin build to replace the need for Photoshop when you want to add some simple effects to your image. For instance, if you just want to pixelate or blur part of the image, or add a pointer/marker on a image, or add some text on it, or add a frame, or apply some effects similar to Instagram, or just want to crop part of your image. Then sEditor is the perfect tool for you. I hope you have liked the post and will be using or trying these plugins of WordPress while editing images. Tell us which plugins do you use or have tried that worked out for you.